The Batthyáneum Library of Gyulafehérvár (Alba Iulia, Romania) is one of the most important historic libraries in Transylvania. It was founded in 1798 by Ignác Batthyány, the bishop of Transylvania. The library was housed in the former church of the Trinitarian order - first an observatory was created here, and later the library was established in the building (all this was modeled on the Archdiocesan Library of Eger). 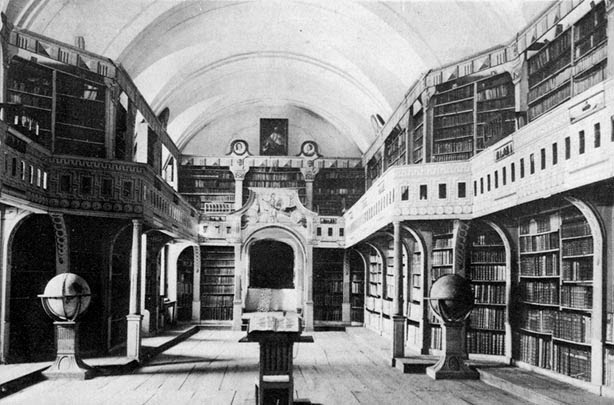 The library of Batthyány grew from many sources, but the most important among these was the library of Christoph Anton von Migazzi, the bishop of Vác and also the bishop of Vienna. Batthyány bought the 8000 volume library of Migazzi, which included a lot of medieval manuscripts. When established at Gyulafehérvár, the Batthyáneum held about 20.000 volumes - a number which continued to increase throughout the 19th century. In addition to simply being a library, the institution worked as a museum, holding Batthyány's collection of minerals and naturalia, as well as a collection of ecclesiastical art. Finds from the excavations of Gyulafehérvár cathedral carried out by Béla Pósta in the early 20th century are also kept here. The 20th century history of the library was not free from controversy: some books were sold in the 1930s, but the institution continued too function as a public library even after the Trianon peace treaty awarded Transylvania to Romania. However, in 1949 the collection was nationalized, and later became part of the Romanian National Library. Access to the collections became very limited - a situation which continues to this day. Even though a government decree returned the building and collection of the library to the Roman Catholic Archbishopric of Gyulafehérvár, the Library still functions as part of the state library system, and the court cases going on have so far not clarified the situation. The library holds today altoghether 927 manuscripts and 565 incunabula, making it the richest collection of this kind of material in all of Romania. 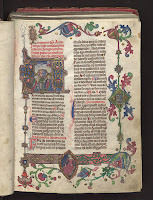 The medieval manuscripts are of various origins: Migazzi's library included all kinds of western manuscripts, but Batthyány also bought complete medieval libraries from Hungary, including the holdings of the ecclesiastical libraries of Lőcse (Levoča / Leutschau, Slovakia, see this Hungarian language study with German summary: Eva Selecká Mârza: A középkori Lőcsei Könyvtár, Szeged, 1997.). 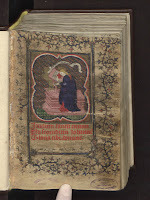 Several Transylvanian collections were also incorporated into the library, and there are rich holdings of orthodox Romanian manuscripts in the collection. 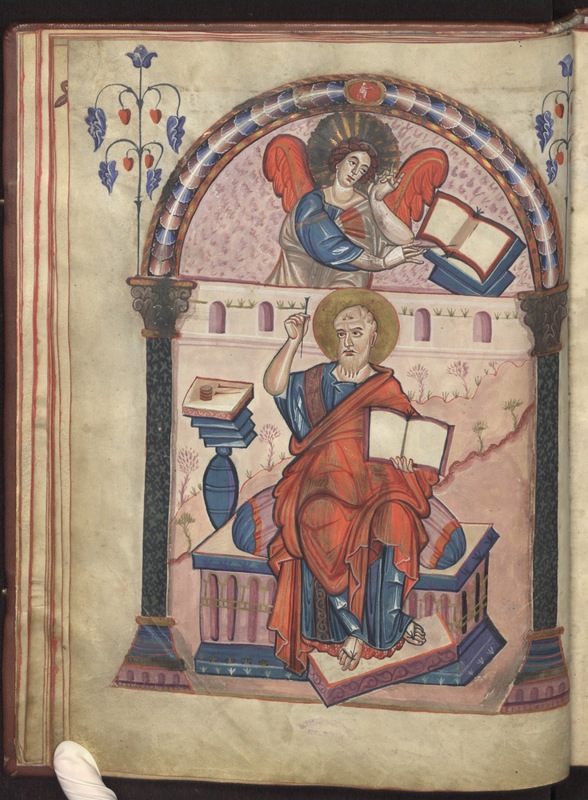 In the framework of a European digitization project, a large number of manuscript are now available in the Manuscriptorium platform. 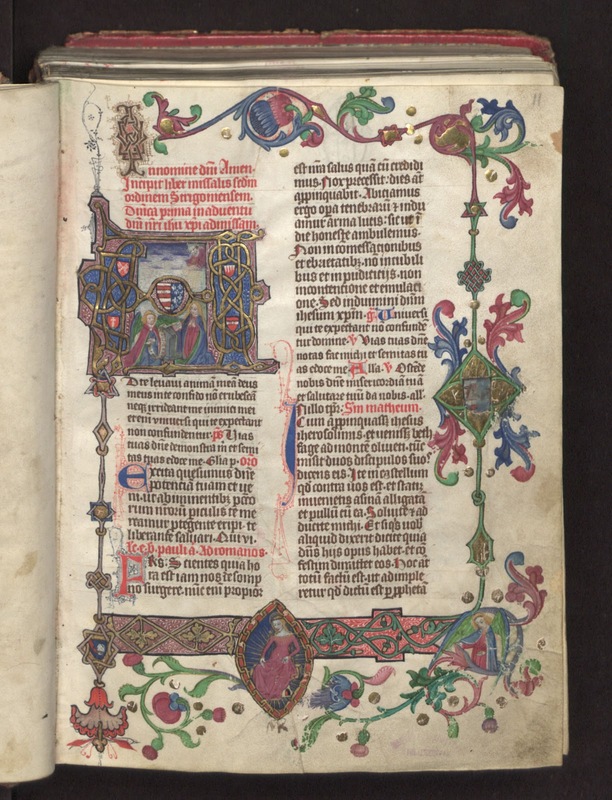 In fact, there is a special section dedicated to manuscripts from the Batthyáneum. There is a lot more there - you can start browsing from the start page, Manoscriti qui in theca batthyanyana. 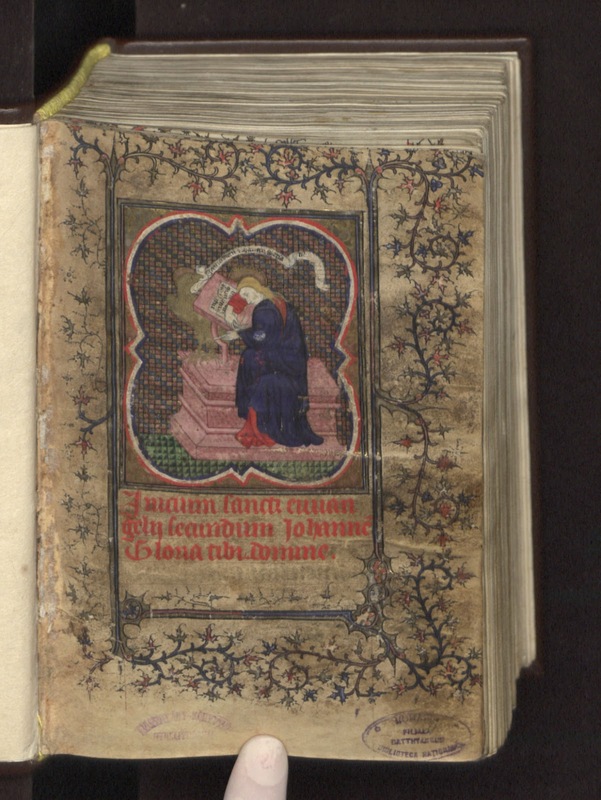 Furthermore, you can find some more illuminated manuscripts from the Europeana database - not all of which have been made available in the current digitization effort. 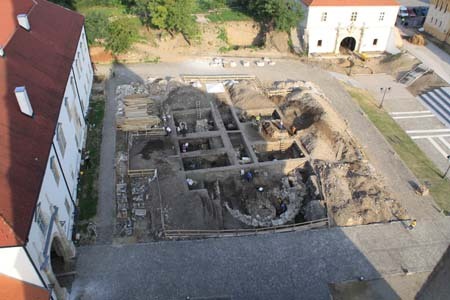 New archaeological research near the Roman Catholic Cathedral of Gyulafehérvár (Alba Iulia, Romania, the seat of the bishopric of Transylvania) led to the discovery of the remains of the semicircular apse of a medieval church. Archaeologists believe this is Transylvania’s oldest church, built around the year 1000 - thus before the foundation of the diocese in 1009 (see my previous post on the history of the cathedral). The remains were found at a depth of only one meter, 24 meters away from the Catholic Cathedral of St. Michael. Daniela Marcu Istrate, well-known archaeologist announced in a press conference on April 18 that the newly discovered church might have been built either by prince Gyula or by Saint King Stephen. Around 952, Gyula was baptized in Constantinople, and upon his return was given a bishop named Hierotheos who accompanied him back to Hungary - so if the church dates to the period of prince Gyula, it was built for the Byzantine rite (of course we are before the Great Schism of 1054 at this time). Besides the apse, archaeologists have also discovered several tombs dating back to the 12th century. However, experts believe that the church was already destroyed at that time. For the moment, work at the archaeological site has been suspended for lack of funds. The remains of the apse will be preserved provisionally. Most interesting about this find is that it is not connected to the present 13th century cathedral - or its 11th century predecessor - in any way. 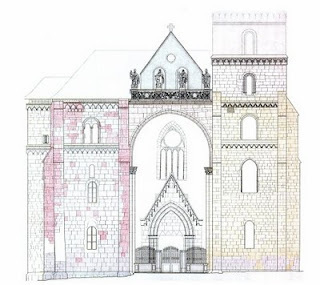 The archaeologist proposes that this feature means that the new Roman Catholic cathedral was deliberately distanced from the earlier structure built for the Greek rite. 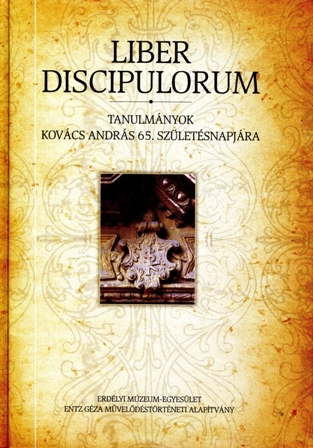 You can read more about the discovery in Hungarian or in Romanian. It is worth noting that the town - Roman Apulum - has an even older history: lately, more and more Roman remains have also come to light, see here.